The Principality of Liechtenstein is a microstate in Central Europe. 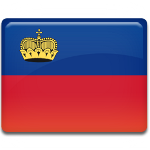 Liechtenstein became a principality within the Holy Roman Empire in 1719. In 1815, it joined the German Confederation that replaced the former Holy Roman Empire. The Confederation dissolved in 1866, and Liechtenstein became an independent state. However, National Day of Liechtenstein does not commemorated its independence. The date of August 15 was chosen for other reasons. Firstly, on this day the Catholic Church celebrates the Assumption of the Virgin Mary, and Liechtenstein is a predominantly Roman Catholic country. Secondly, it was the day before the birthday of reigning Prince Franz Joseph II. National Day of Liechtenstein was celebrated in 1940. After the death of Franz Joseph II in 1989, it was decided to continue celebrating the holiday on August 15. Staatsfeiertag is marked with an official ceremony in front of the Vaduz Castle, cultural events, a public fair, festive processions, a firework display and a large party in the center of Vaduz.